In the general population, low-grade inflammation of adipose tissue accompanies obesity and contributes to cardiovascular disease (CVD) development, but the implication of this tissue in rheumatic disease pathology is unclear. Therefore, we characterized the secretory activity of subcutaneous abdominal adipose tissue (SAAT) of females with rheumatoid arthritis (RA) and osteoarthritis (OA) and searched for its relationship with intensity of systemic inflammation, body composition and comorbidity. The secretion of classical adipokines (leptin, adiponectin), pro- and anti-inflammatory factors, i.e. interleukin (IL)-6, IL-8, IL-10, tumour necrosis factor (TNF), macrophage migration inhibitory factor (MIF) and hepatocyte growth factor (HGF), from SAAT explants was measured by specific enzyme-linked immunosorbent assays. Patients’ body composition was evaluated by bioelectric impendence technique. 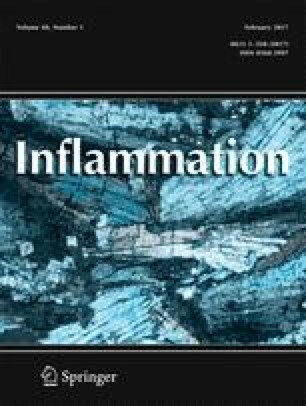 Rheumatoid SAAT secreted more adiponectin, IL-6, IL-10, TNF and MIF but less leptin than respective osteoarthritis tissues. In RA patients, TNF secretion correlated with cachectic body composition, HGF release was linked to secondary amyloidosis and visceral fat rating was an independent risk factor for CVD. In OA, secretion of leptin and HGF positively, while adiponectin inversely, correlated with systemic inflammation markers, and the release of MIF was an independent risk factor for CVD. This study reveals differences between RA and OA patients in SAAT secretory activity and suggests its different clinical impact in these diseases, characterized by high- and low-grade systemic inflammation, respectively. In RA, SAAT may directly or via an effect on body composition contribute to amyloidosis, cachexia or CVD co-occurring, while in OA SAAT-derived adipocytokines may rather regulate intensity of systemic inflammation and redound to CVD emergence. We gratefully acknowledge all patients for their contribution to the study and Iwona Janicka and Urszula Musiałowicz for outstanding technical assistance. All authors have made substantial contributions to (1) the conception and design of the study, or acquisition of data, or analysis and interpretation of data; (2) drafting the article or revising it critically for important intellectual content; and (3) final approval of the version to be submitted. All procedures involving human participants were performed in accordance with the ethical standards of the institutional research committee and with the 1964 Helsinki declaration and its later amendments or comparable ethical standards. This study was funded by the National Institute of Geriatrics, Rheumatology and Rehabilitation (grant number S/16), Warsaw, Poland. The National Institute of Geriatrics, Rheumatology and Rehabilitation is supported by a core grant from the Ministry of Science and Higher Education (Poland).